Earlier this week, the World Bank-IFC released its 14th edition of the annual Ease of Doing Business Report. This report compares business regulations and processes in 190 economies around the world and measures 10 basic steps involved in a typical life cycle of a business enterprise. Data is collected every first half of the year with a data cut-off date of May 31. For this year’s report, the Philippines moved up four positions from No. 103 last year to No. 99 this year. In ASEAN, five countries (including the Philippines) moved up, including Indonesia, Brunei, Vietnam, and Thailand. Five countries also slipped : Lao PDR, Malaysia, Cambodia, Myanmar, and Singapore (though in Singapore’s case, they dropped only from No. 1 to No. 2). We live in one of the most competitive regions in the world. Of the 10 indicators measured in the report, the Philippines improved in areas such as Protecting Minority Investors (up 18 from No. 155 to No. 137), Dealing with Construction Permits (up 14 from no. 99 to No. 85), Paying Taxes and social services (up 11 from No. 126 to No. 115), and Enforcing Contracts in court (up 4 from No. 140 to No. 136). These are not significantly large improvements but they are nonetheless movements in right direction. On the other hand, we dropped in four indicators : Getting Credit (from No. 109 to No. 118), Starting a Business (from No. 165 to No. 171), Getting Electricity (from No. 19 to No. 22), and Resolving Insolvency (from No. 53 to No. 56). In order to make a huge improvement in these rankings, we will need to do three things in the coming months. The first is to continue to streamline and simplify processes, something that has been ongoing for some years now, hence the 49 country jump in six years. The second is to legislate amendments to some existing laws and to create new laws to support ease of doing business. These are currently pending in Congress. And the third is to take more government procedures online. The typical process for filing for a permit or license is manual. We manually fill out forms, often entering the same data on different forms. These forms are usually submitted over-the-counter at some office (in many cases, multiple offices in different locations) and then manually processed. Before processing, you are usually asked to submit supporting documents to verify or validate your application – more paper ! The release of the license or permit is also done over-the-counter. The whole process is tedious, takes too much time, and entails too much cost. Though it has never been measured, it probably contributes to the traffic as people need to move from office to office to obtain licenses and permits or make payments to government offices. The obvious solution should be to apply technology and take more of these services online. Our national goal should be to enable people to file anything from anywhere, anytime. It should also enable us to pay for these licenses and permits by whatever means is available – online payments, credit cards, mobile money. And we should be able to get our licenses and permits sent to us online so we do not have to go to an office to pick them up. This should work like purchasing an airline ticket over the internet today. Fortunately, such a system is being contemplated today by the newly-formed DICT working with DTI, DOF, DILG and other agencies. It will take some time to fully roll out such a system but much has already been done to create the underlying technology platform that will make all these applications possible. The key is that people should continuously clamor for these programs and contribute ideas to make them more user-friendly and practical. It is only by moving into “eGov” when we will see the Ease of Doing Business a reality. 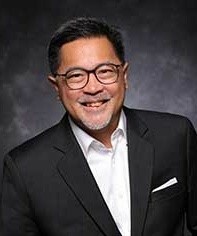 Guillermo M. Luz (gm [dot] luz [at] competitive [dot] org [dot] ph) is the Private Sector Co-Chairman of the National Competitiveness Council.